The RC1 repository has been rsync’d to the mirrors to improve bandwidth and take some of the load off the ARM Koji hub. If you would like to provide feedback on the release, have questions on usage or comments, please feel free to drop by #fedora-arm on Freenode, or to the Fedora ARM Mailing list – arm@lists.fedoraproject.org. My colleague Anthony recently finished setting up a Sigul Server instance that will be used by the Fedora ARM team to sign packages for release. After some initial hiccups with signing we successfully completed the first run, signing roughly 25000 packages – 15,000 of which will be included in our release of Fedora 13 rc1. When composing the repo I received a number of errors that some packages weren’t signed with the preferred key. When then attempting to sign the package manually the process would also fail saying that the rpm was corrupt. When checked the rpm packages were fine, but checking the package directory structure the signature files were missing. More then likely as a result of some data loss we experienced a few weeks ago. In order to sign these packages, we needed to download them from koji, remove the build and then re-import and tag them. Due to a bug you will need to do some database clean up to remove all references to the build. You will need the build ID for this step (replace $buildID with your package build ID). Checking the directory structure of /mnt/koji/packages/$nvr you should now see the signature files that were lost, and be able to successfully sign the packages. We are pleased to announce the release of Fedora 13 ARM Beta3. This release includes additional software not found in Beta2, most notably Abiword for your word processing needs. Unfortunately at this time we are not able to offer OpenOffice due to some issues with java packages ( java experts we could use your help! ). We are again asking for feedback as we prepare for a final compose of Fedora 13 for ARM, and put all our efforts behind Fedora 14. Feedback can be forward to us via the mailing list – arm@lists.fedoraproject.org. On May 2nd we welcomed three additional members to the Fedora ARM Team – Salman Zafar, Anthony Boccia and Jon Chiappetta. Check out their blogs for additional information about Fedora ARM. 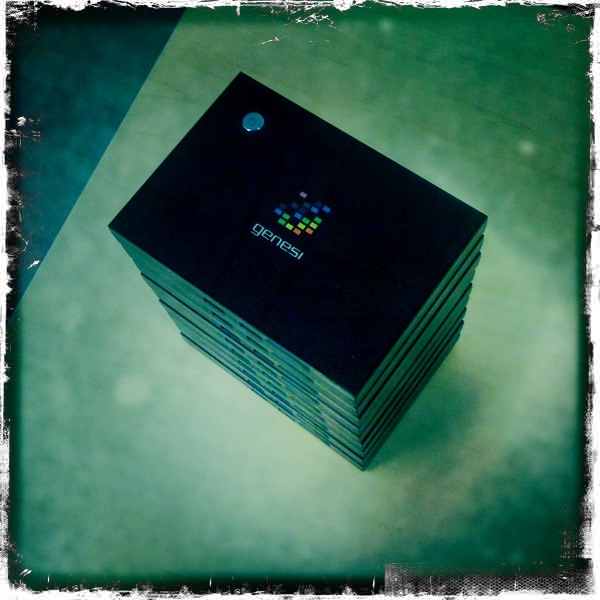 The fine folks at Genesi have sent us 10 new machines to add to the Fedora ARM build system. The new machines are the Genesi Efika MX Smarttop featuring the Freescale i.MX515 (ARM Cortex-A8 800MHz), 512MB RAM and an 8 GB internal SSD. We have decided to run Fedora from the SD card as a means of easily swapping out the root file system should we need to. The Uboot on the Genesi machines is set to boot from an SD card if one is present, so getting the machine up and running was relatively painless. We have recently upgraded the kernel on our Pandaboard’s to allow the use of 900MB of RAM. For more information on how that was accomplished please visit Stephen Hall’s blog. You can also find links to download the kernel and boot script there as well. As the semester comes to an end we have quite a few exciting student projects like Stephens that should start to show the fruits of their labour. Many of them are expected to further enhance the performance of our build system for Fedora ARM. Work on Fedora 13 is coming to a close and we have been in the process of upstreaming the various patches for packages to build on ARM. This should make our push to build Fedora 14 for ARM much quicker then Fedora 13. Many thanks for all your feedback on our Beta2 release. Fedora 13 ARM users can now update to use a new repository composed on March 23rd. This new compose adds additional software and includes software groups. A new root filesystem is available here. The password for the root account remains “fedoraarm”. We are asking users of Fedora ARM for some feedback. Is there something missing? Is the software included so far working as expected? Any other suggestions? Please forward feedback to the mailing list – arm@lists.fedoraproject.org. Due to a fire at our campus yesterday, I haven’t had a chance to test the created file system, but hope to post some results tomorrow. You can also download a copy of a rootfs I composed today from here. In the pre-created rootfs there is already a yum repository called “fedora-arm-koji” that will use the latest built in the ARM Koji, if you are creating your own with the mkrootfs script you will need to also create your own repository file using “http://arm.koji.fedoraproject.org/repos/dist-f13-build/latest/$basearch&#8221; as the URL in order to install anything. Not everything will be available yet, and there may be issues, so please keep that in mind when using. For device specific installation instructions please visit the Fedora ARM page here. Thanks very much to all that assisted us in getting glibc built for ARM, most importantly a big thank you to rmattes for submitting the successful build of glibc-2.12-3. In order for glibc to be built we had to make a number of changes to gcc as outlined here. These changes add -fno-stack-protector to libgcc build options. Since glibc was built we’re been plugging forward with build-previous, building the previous versions of packages found in Fedora 13 and over coming any circular dependencies as they arise. During the last run of build-previous only a few new packages were built successfully and the resulting failures in quite a few cases should be resolved when the current version of the package is built. So we’re now on to Koji-shadow. As package problems are exposed we will have a list for those that are interested in helping out which will be sent out to the Fedora-ARM mailing list, on my blog and on the Fedora ARM status page. On the status page you can also find logs for the most recent runs of build-previous, koji-shadow and koji-compare. Please join us at the Free Software and Open Source Symposium on October 28th and 29th at Seneca@York in Toronto, Canada. The annual Free Software and Open Source Symposium provides a venue to share the latest trends in open source. It is an event aimed at bringing together industry, developers, educators and other interested parties to discuss open source, open web, and academic/industry partnerships. On October 28th at 9:00 am Chris Tyler will be running the work shop “Plug Computing and Fedora: Running Linux while Sipping Electricity” discussing the use of Fedora on tiny ARM based plug computers. And on October 29th at 3:00 pm I will be doing a presentation on “Fedora ARM Build system” discussing our progress on Fedora ARM, the tools used to build software in Fedora and future plans for ARM support. If you would like more information, please visit the FSOS webpage here. I just finished setting up our newly received Beageboard XM on Fedora 12. 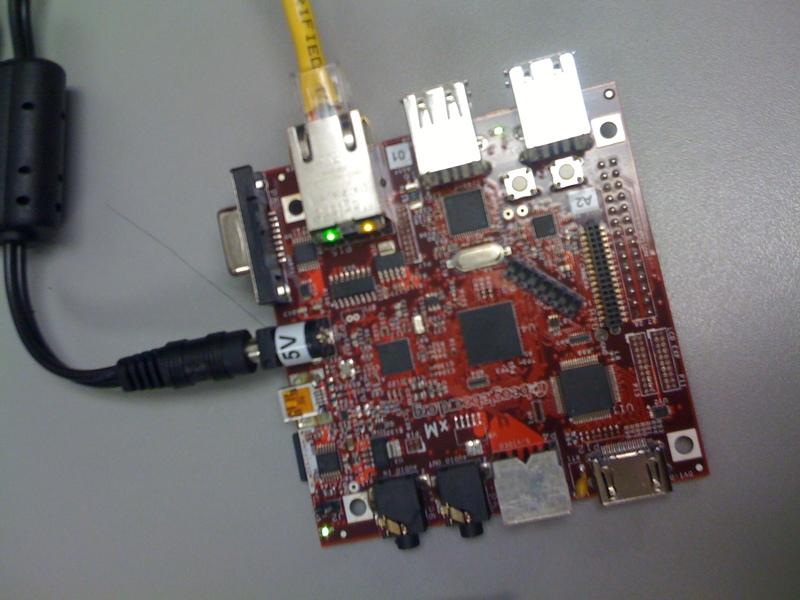 The Beagleboard Xm has a super-scaler ARM Cortex A8 processor running at 1 GHz, 512 MB DDR ram and most importantly, the addition of 10/100 ethernet (which wasn’t offered on the Beagleboard). The inclusion of the Beagleboard XM as a builder in Koji will allow Fedora ARM to start building packages for “armv7”. The set up was pretty straightforward for the most part. I followed the guide from here to set up my MicroSD card and install Fedora. The system would boot up until the decompressing the kernel stage, then said Done, booting, but would never proceed past this message. No matter how I changed the bootcmd in Uboot the result was the same. I then tried the Angstrom validation image included with the board. It did exactly the same thing. I rebooted the board, this time holding down the ‘user’ button and the result was slightly different. It proceeded just past what was becoming the normal crash spot and then stopped again during the boot. This time however a red LED lit up, identified as D13. This is an overvoltage indicator and a problem quite a few Beagleboard XM users are running into. I was using USB to power the device, so I changed to the DC power adapter that was previously used for our Beagleboard, and alas, success!